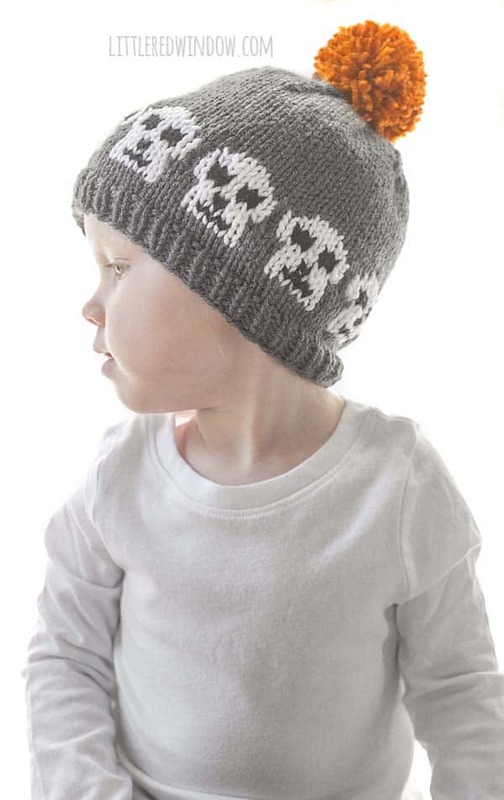 Get ready for Halloween with this very spooooky Halloween Skull Hat knitting pattern for newborns, babies or toddlers. 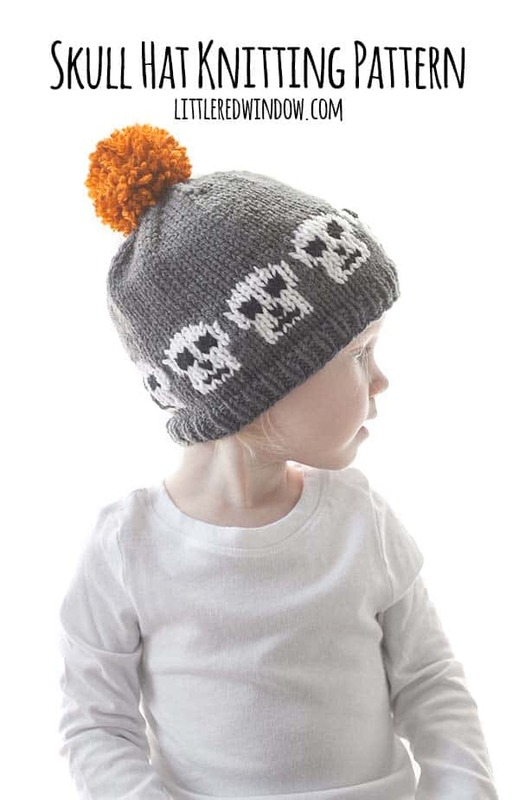 This cute Halloween baby hat has a ring of simple skulls around the brim and it’s perfect for the season! 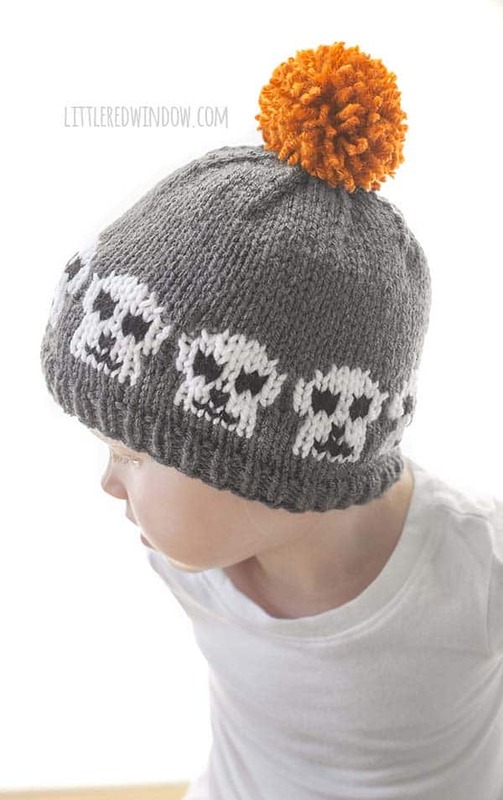 If you liked my candy corn hat knitting pattern with the cute ring of candy corn around the brim, then you’ll love my brand new Halloween Skulls Hat knitting pattern! 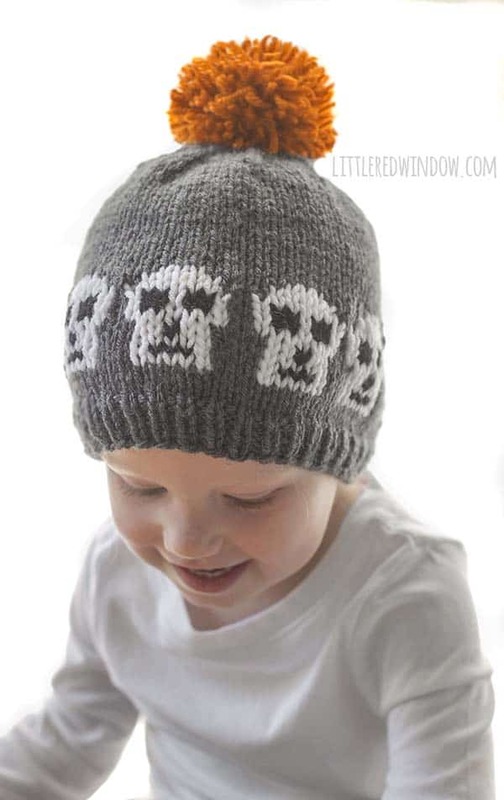 This cute pattern is just perfect to wear for Halloween (and the entire month of October, really). 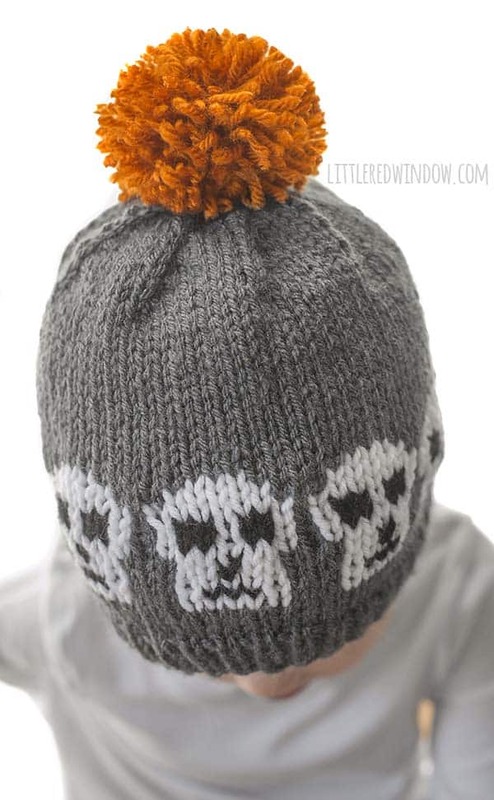 Or if you’re into skulls, you can totally wear it anytime, just lose the orange pom on top! This adorable pattern includes color chart and some written instructions as well as photo tutorial and is a perfect pattern to practice fair isle/stranded knitting. 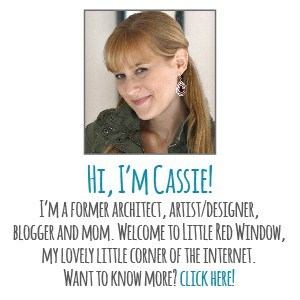 It’s an easy pattern that knits up quickly with adorable result! 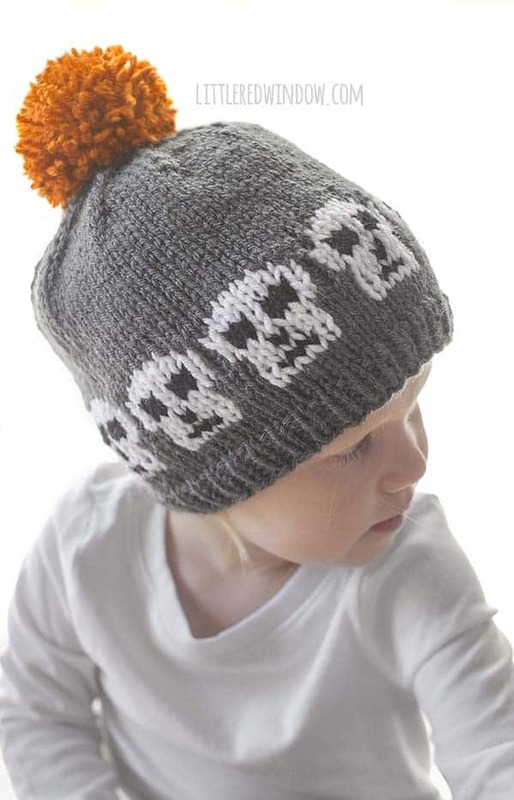 If you’re looking for a Halloween baby hat to knit, this is the perfect easy halloween knitting pattern to get started with!